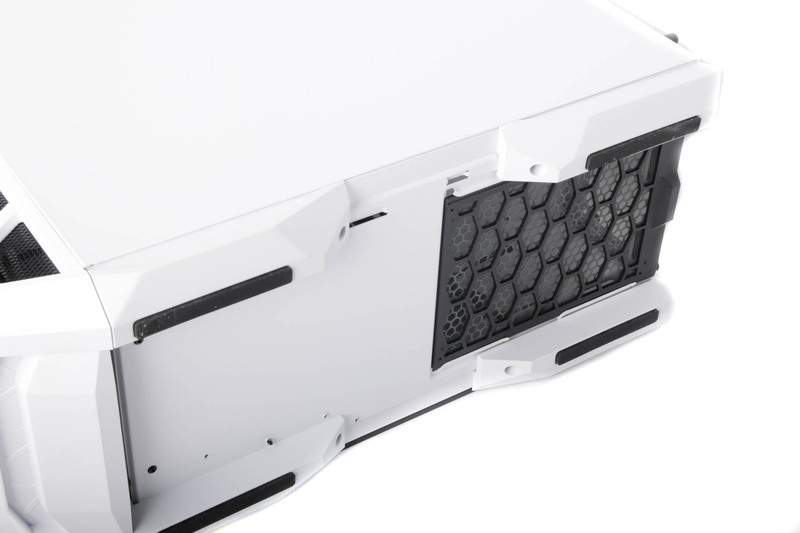 The closed front panel craze may have boosted aesthetics when it comes to cases, but the marked fall in cooling prowess due to more restricted airflow is fairly obvious compared to cases with mesh fronts and a couple of fans drawing air into the case. 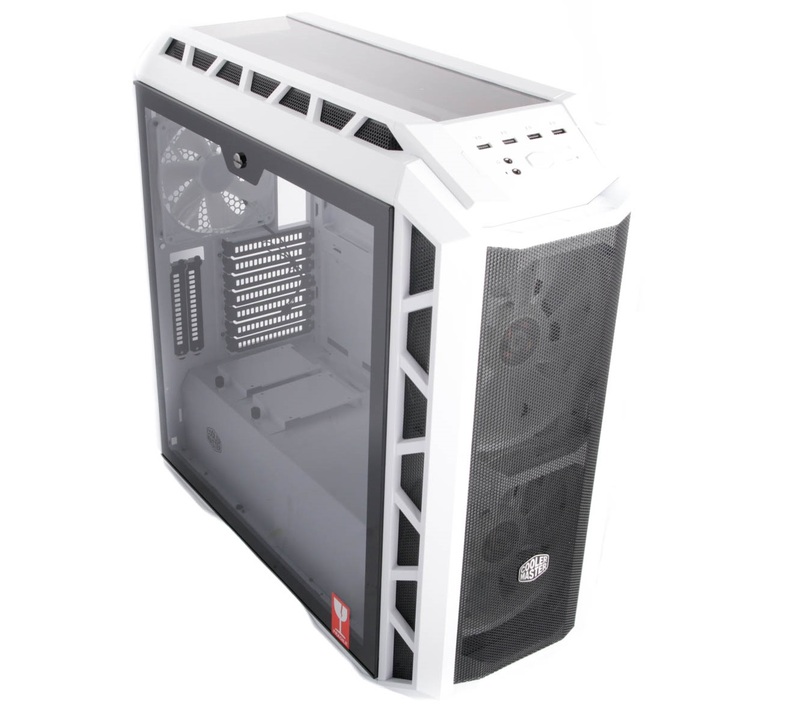 It's a tricky choice if you're buying a new case, and previously Cooler Master prioritised aesthetics with the H500P. 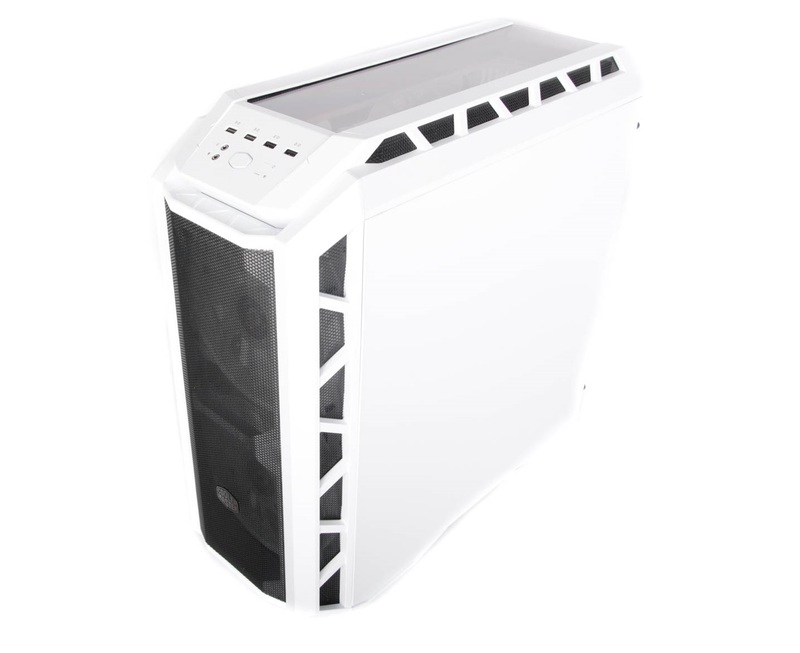 However, with the MasterCase H500P Mesh White, that front panel gives way to a big front mesh, and with two huge fans behind it, the MasterCase H500P Mesh White should offer significantly better airflow than the closed front panel version. 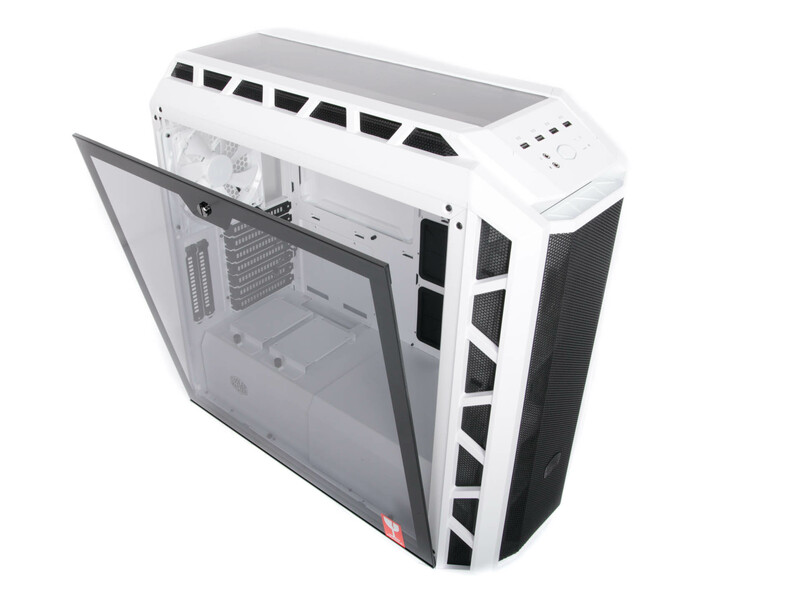 That's not to say its aesthetics are completely lost on us, though, as the front fans sport RGB lighting that's visible through the front mesh, there's a large tempered glass side panel, and the striking angular intakes on the side of the front section give the MasterCase H500P Mesh White an edgy look too. 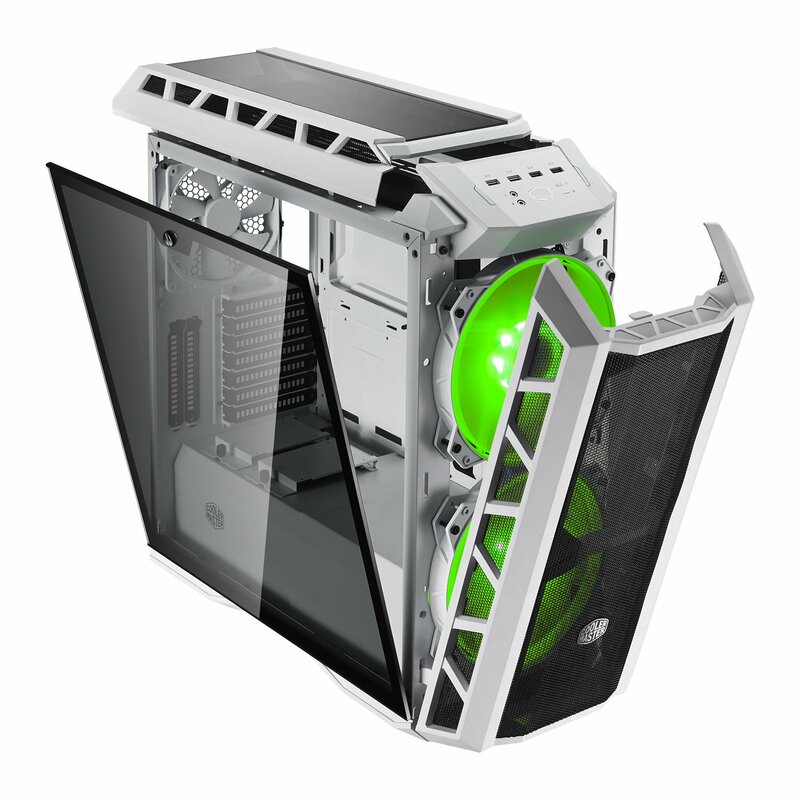 The most obvious change is the colour scheme, though, with an arctic-like matt white finish inside and out. 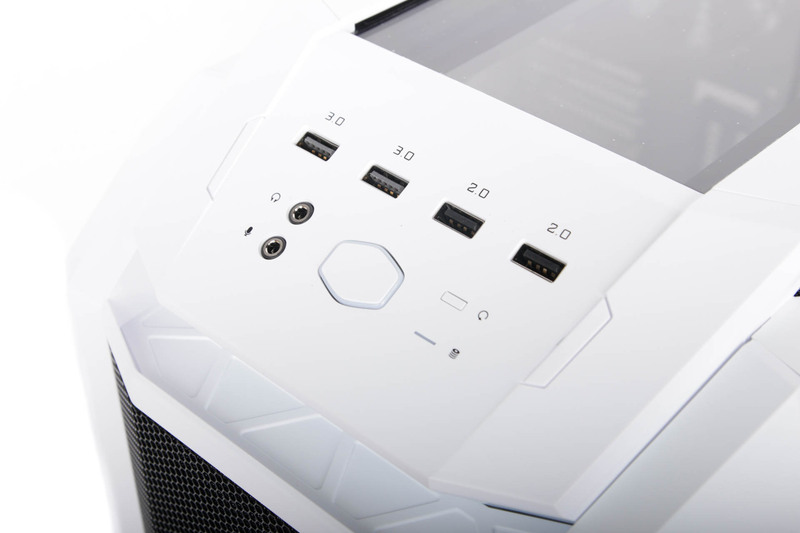 There's a good deal of plastic clinging to the extremities, but it all fits together well, and the sweeping front panel rounds off a fairly attractive case as well offering a pair each of USB 2.0 and USB 3.0 ports, audio mini jacks, and power and reset buttons - no Type-C connector, unfortunately. 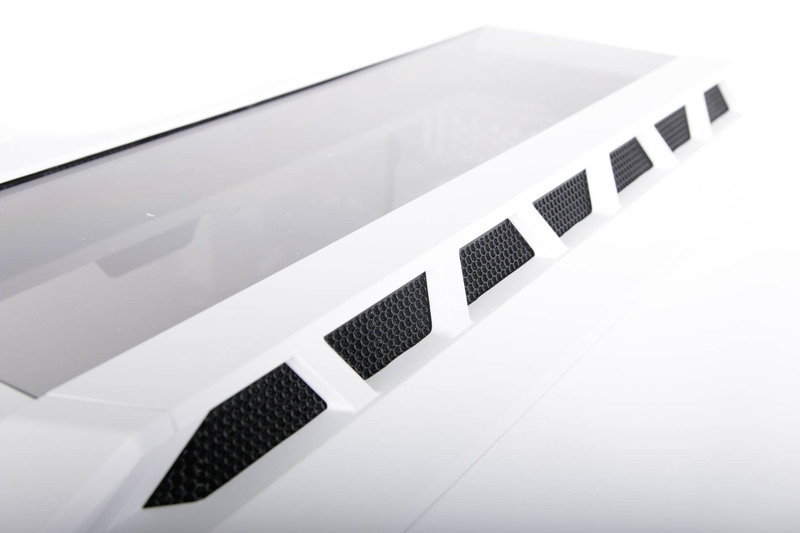 The roof section strays from an otherwise high airflow design, in that it has a large opaque plastic panel in place, relying instead on vents at the side to expel air, meaning it's far less of an ideal location than the front section to house radiators. 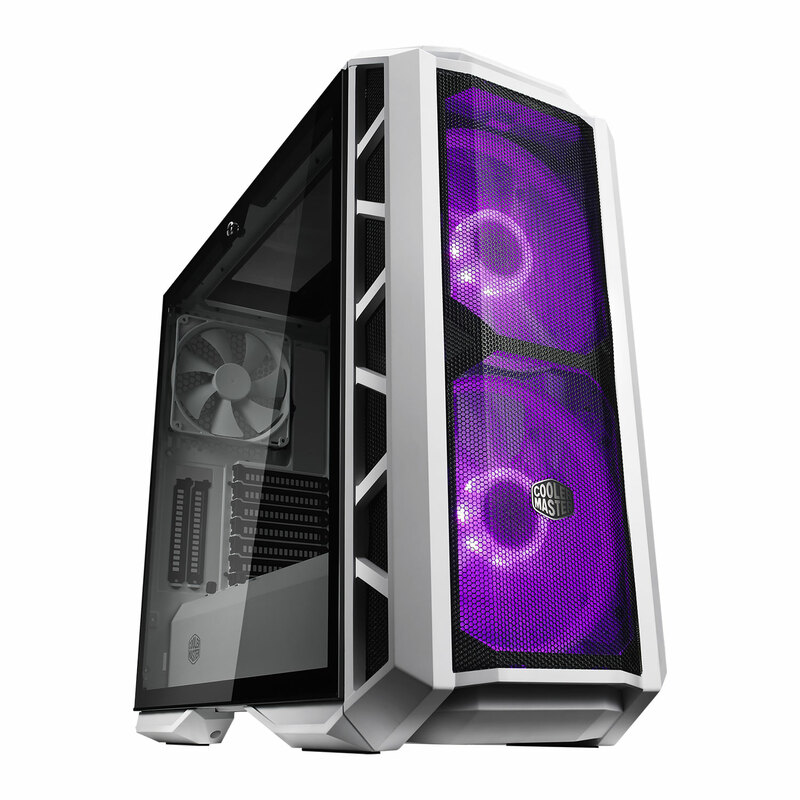 Reviewing tempered glass cases usually involves dealing with a plethora of thumb screws, but Cooler Master has opted for a far more elegant solution with a single locking nut at the top that allows the panel to pop open. The nut is fairly stiff, so it's likely you'll need a screwdriver to open it - possibly a useful security measure to prevent overly easy access at LAN parties, though. The roof section is a little flimsy, and pressing the panel does see it flex quite a bit, so it's not somewhere you want to rest heavy objects, especially legs. 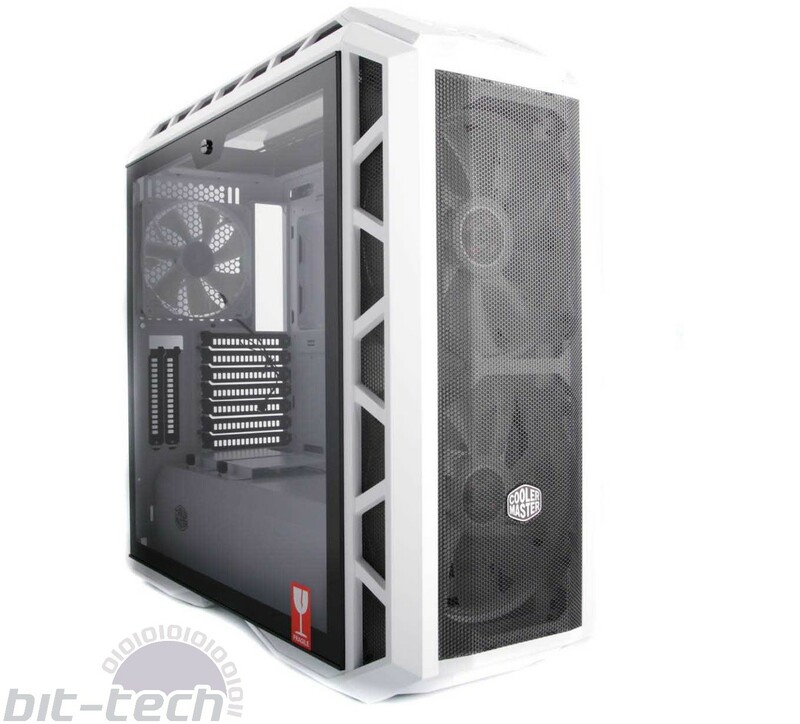 The tinted acrylic is certainly in keeping with the rest of the top of the case, but we're not sure why Cooler Master didn't opt for a mesh panel here given how much it would have improved airflow. 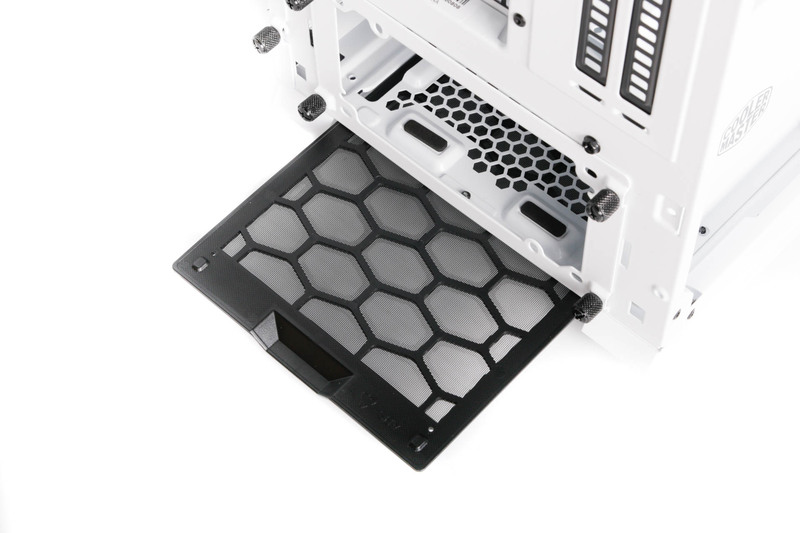 There's a dust filter in the bottom of the case that pulls out from the rear, and this is easily done with the case upright. However, the entire front panel needs to be removed to clean it, as the filters here are built-in, which means you'll need to remove both side panels too - a bit of a faff.